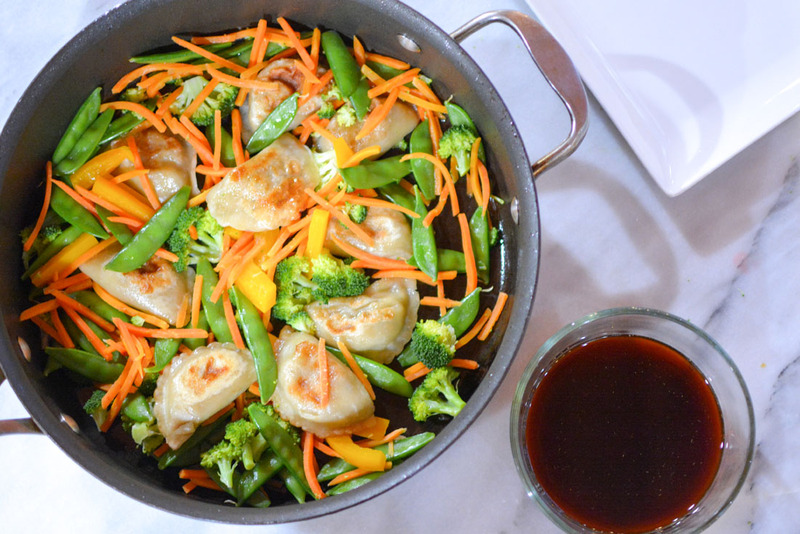 This easy Vegetarian Stir Fry recipe is loaded with fresh veggies, vegetable dumplings and a delicious sauce made with soy sauce, rice vinegar, garlic, and ginger. As a mom of three boys, dinner time can be a challenge. Between homework, an active toddler, and after school sports I’m always on the lookout for ways to simply dinner time. My biggest tip for simplifying family dinner is by meal prepping and creating easy recipes. If I can have dinner cooked and on the table in under 20 minutes it’s a win. When we’re rushed and need a quick, healthy, family dinner, I’ll often cook a stir fry. They’re simple to make and an easy way to get more vegetables and protein into our diet. Leftovers also make the perfect lunch for the next day. According to Nielsen, 39% of Americans reported trying to eat more plant-based foods in 2018. Looking for an easy, delicious way to add plant-protein to your meals? This past week, I swapped out out typical source of protein for Nasoya’s Vegan Dumplings. Nasoya, the nation’s leading brand of tofu, has two flavors of Vegan Dumplings – Tofu Vegetable and Thai Basil Vegetable. Nasoya’s Vegan Dumplings are USDA Certified Organic and also contain 6-7 grams of plant-protein per serving. 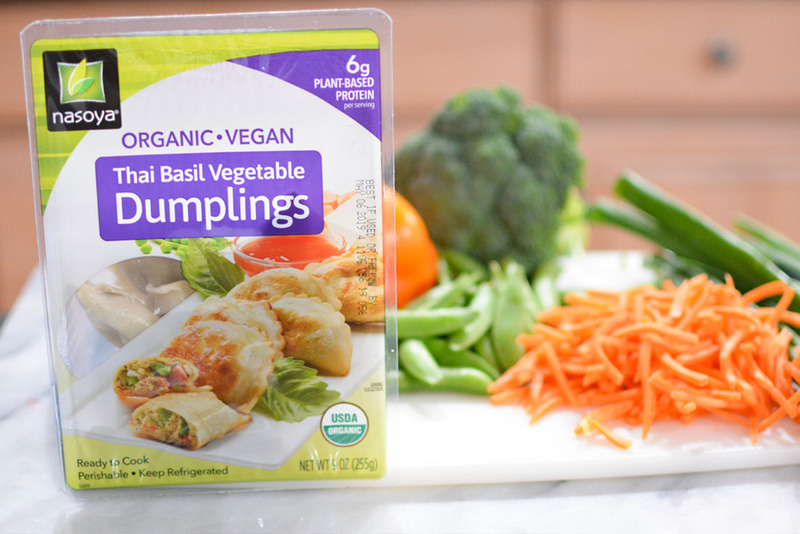 These organic, vegetable dumplings can be served with your favorite sauce as an appetizer, or in a stir fry for a complete family dinner. These ready to cook dumplings take just a few minutes to prepare. Stir fry dinners are a healthy meal your whole family can enjoy. 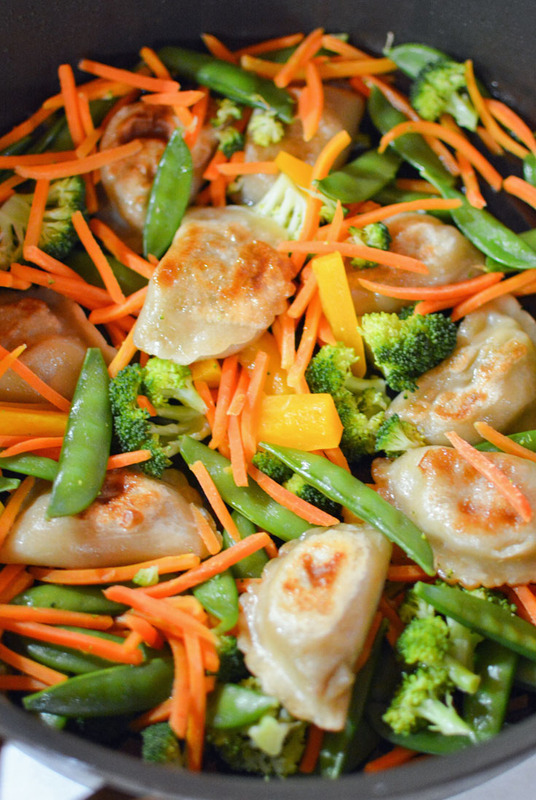 This kid-friendly dinner recipe for Stir Fry Vegetable Dumplings takes less than 20 minutes to make, from the time you start cutting up the fresh vegetables, to the time it’s on the table. It’s easy to use your favorite vegetables in this stir fry and adapt to your family’s needs. You can find Nasoya Vegetable Dumplings at local Stop & Shop stores, as well as Shop Rite, King Kullen, Food Town, Key Food, Acme. Print a Nasoya Coupon to save $1.00 on your next purchase. 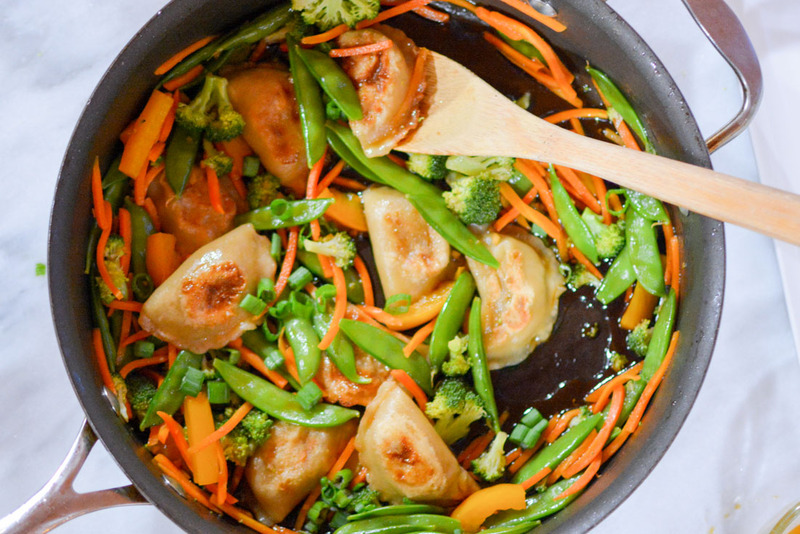 This one pan vegetarian dumplings stir fry recipe is on the table in less than 20 minutes. 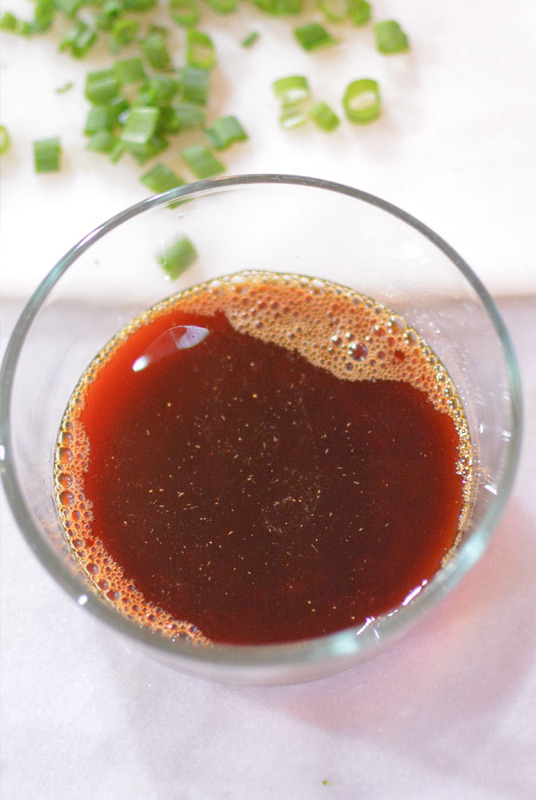 In a medium size bowl, whisk together soy sauce, rice vinegar, garlic and ginger. Set aside. In a large skillet or wok, heat two tablespoons of oil over medium- high. 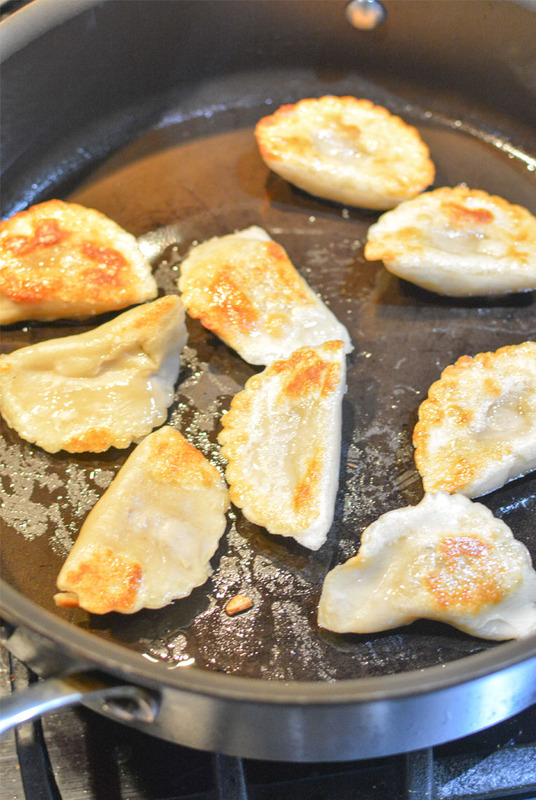 Add the vegan dumplings, pan fry for 1 to 2 minutes on each side until golden brown. Add 1/4 cup water and immediately cover. Cook for 2 to 3 minutes or until the water evaporates. Set aside. Add broccoli, carrots, sugar snap peas and cook 5-7 minutes, stirring occasionally, until crisp tender. Add the Thai basil vegetable dumplings back into the skillet. Whisk stir fry sauce and pour over dumplings and vegetables, stir gently to combine. 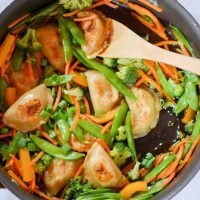 This easy Vegetarian Stir Fry recipe is loaded with vegetable dumplings, fresh veggies, and a delicious sauce made with soy sauce, rice vinegar, garlic, and ginger. Add the Vegan dumplings back into the skillet. Whisk stir fry sauce and pour over dumplings and vegetables and stir gently to combine.